Save 5% of Haibikes this Easter! Use the voucher code save005 at the checkout. TheXduroAllMtn, 150/160 mm travel, plus tyres and aggressive geometry, theAllMtn can help you climb the most demanding trails, flowsingletrack and still shred thedownhills with confidence. Bosch motors pose two challenges for engineers at once when developing an efficient chassis: its construction size and its relatively small sprocket. Usually, the chainstay bearing has to be installed close to the point of contact between chain and sprocket. Due to the small size, this would result in the bearing running directly through the motor which is, of course, impossible. Therefore, we created a simple but efficient concept: the Haibike Sprocket Equalizing System (S.E.S). The new InTube battery enables a high integration, a beautiful shape and functionality. It is available in many of our models.  Our patent MRS allows the quick and simple mounting of different equipment on the bike.